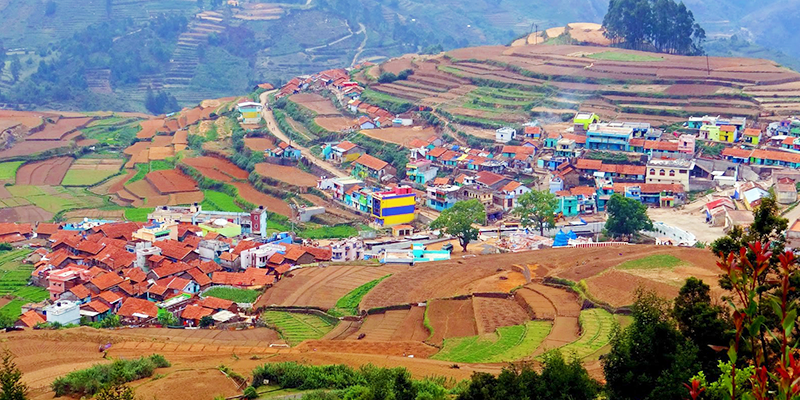 Southern heaven of Vattakanal is less than 7 KM from the bustling town of Kodaikanal. Located along the eastern coast of the Western Ghats, this pocket of scenic beauty sits on the southern tip of the upper Palani hills in the Dindigul district of Tamil Nadu. Vattakanal was once a forest through which the British used to ride to Kodaikanal (the hill station they built to escape the scorching Madurai sun) on their horsebacks. 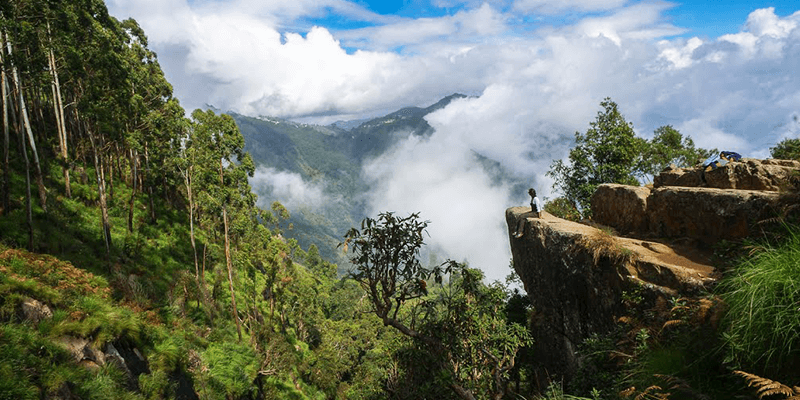 Present day Vattakanal is a paradise amongst clouds and is often referred to as the Sister of Kodaikanal (known as “The gifts of the hills”). Onward Journey: Adventurists may trek all the way to Vattakanal and its higher altitude. Other tourists may avail the taxis that take you to the city. 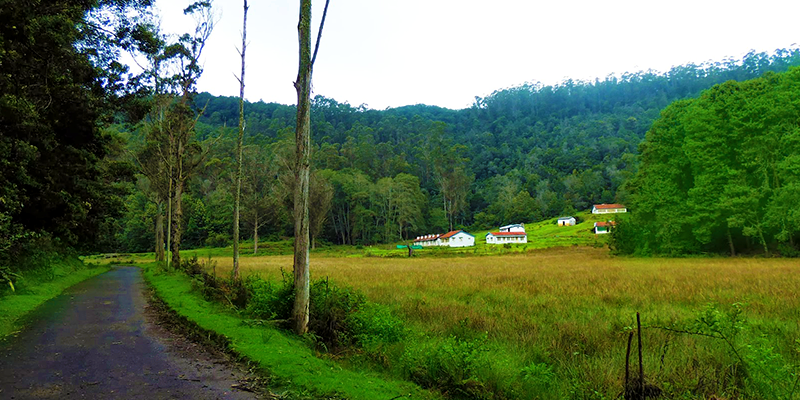 Vattakanal is a moderately populated village which is surrounded by greenery on all sides. The Tamil word “Vatta” means a circle and the best view of this circular valley can be enjoyed from the main road leading to the village. The forests in close proximity to this village host many rare and endangered specimens of flora and fauna, such as the gigantic Eucalyptus trees, rare “Shola” trees or magic mushrooms. In the recent times, Vattakanal has picked the nickname of “Little Israel”, although it has nothing to do with the descent of the inhabitants. In the months of October – January, huge Israeli travel groups travel to this small hamlet. The numbers can be so high that it outnumbers the villagers’ count. These travellers come with different purposes – some in search of calmness and spirituality, some come looking for magic mushroom, while others just like the serene beauty of this hill station and arrive with their families. The shola grasslands comprise of ancient forests spanning across valleys and high mountains of the western ghats, particularly in the Nilgiri, Anamalai and Palani hills. A stroll through the forests is refreshing. And while on the trail one can spot Gaurs and Bisons. Trivia: Interestingly, shola trees almost faced extinction due to mass felling by the locals. 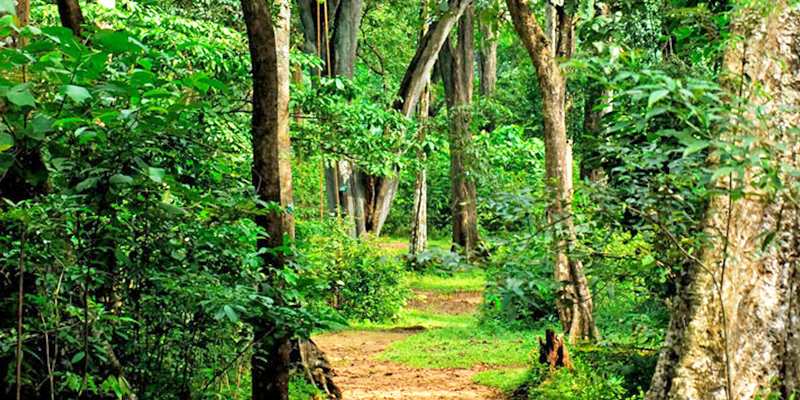 In 2001, Vattakanal Conservation Trust was formed and it has maintained the unique eco-system of Vattakanal. This is one of the most beautiful pedestrian paths in the country. Where else can you experience a sombre walk amidst cotton clouds and scenic beauty. 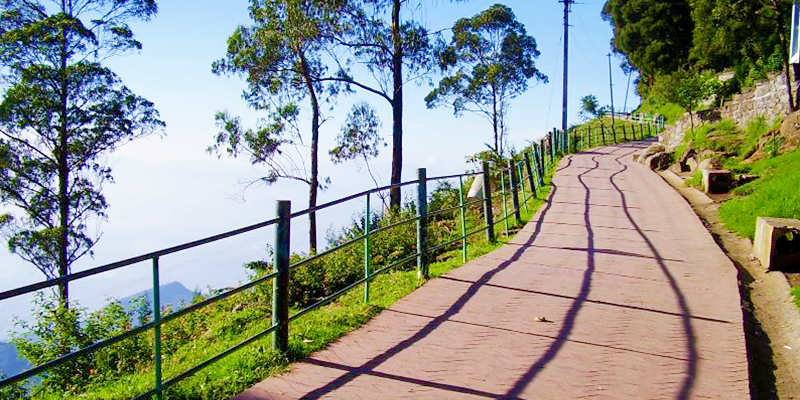 This 1 KM long walk was constructed in 1872 along the steep slopes on the southern side of Kodai road. On a mist free morning one can see the Dolphin’s Nose in south, Gambar Valley in south-east, bird’s eye view of Periyakulam village and all the way down to the plains 2000 M below, sometimes even to Madurai. Tip: Visit this place before 2:30 PM because the evening mist can cover the views. This 60 acres long, star shaped lake was built in 1863. 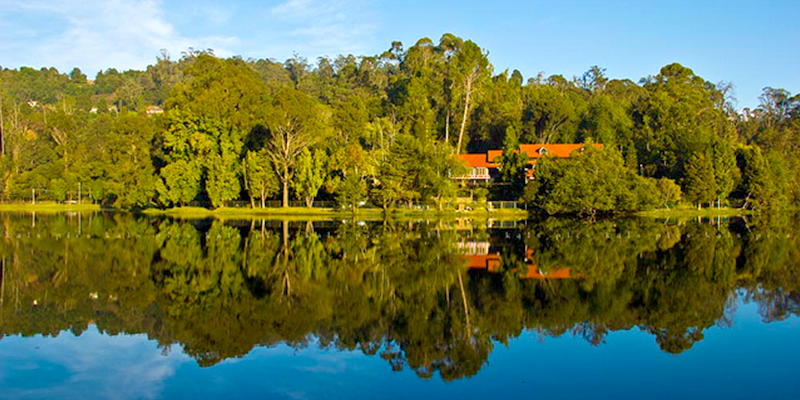 Filled with various activities and beautiful scenery all around, this is Kodaikanal’s most popular tourist attraction. Surrounded by hills and housing a rare flora around its catchment area, a trip to the lake offers an exciting time out. Entry Fee: Rs. 40 per person. Activities: Boating in row boats or pedal boats, horse riding and bicycling. Trivia: Kurinji (Strobilanthes Kunthiana), a unique flower that blooms once in every 12 years is found in area around the lake. This is a must visit attraction for all people interested in Botany. 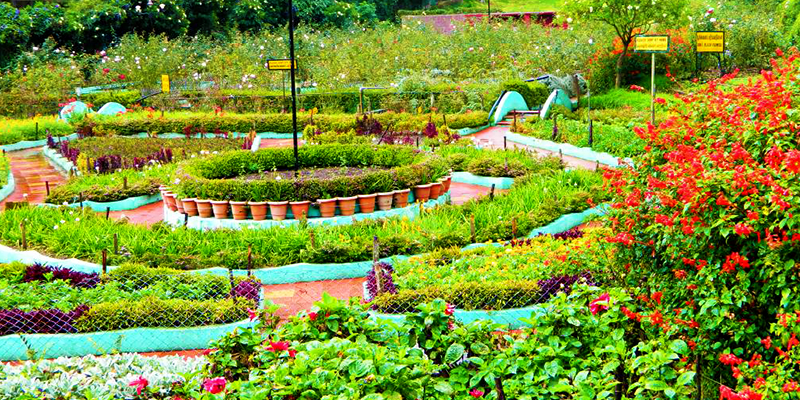 The elaborate botanical park was built in 1908 and is situated 500 M east of the Kodaikanal Lake. Bryant Park houses 325 species of trees, shrubs and cacti. One can view 740 varieties of rose plants here. The star attraction of this park is an ancient Bodhi tree. Entry Fee: Rs. 15 for children, Rs. 30 for adults and Rs. 50 for cameras. Best time to visit: Best time to visit is during spring and summer months when horticulture shows and exhibitions are organised here. Trivia: There is a glass house which contains a variety of plants including ferns, flowers and ornamental trees. Situated 5 KM away from the Kodaikanal Lake, this temple was dug out in 1863 and a new temple was built on the same ground in 1936 by a European lady. 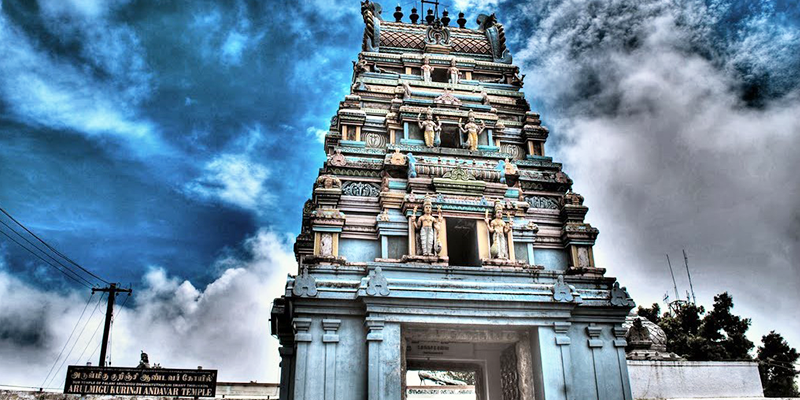 The main deity of this temple is Sri Kurinji Easwaran (god of the hills) or Lord Muruga. But what the temple is really popular for is Kurinji flowers, which bloom once every 12 years, near the temple. Must see: Grand view of the Palani hills and Vaigai dam can be enjoyed from the temple. 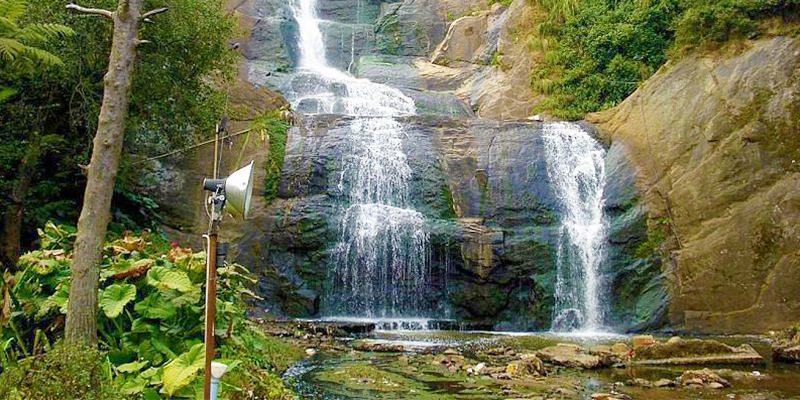 Situated about 3 KM away from the Kodai bus stop, this cascading seasonal waterfall is surrounded by lush greenery and hills. It is known that the bears used to visit this waterfall to quench their thirst and there is still a rich vegetation of shoal trees in the area, thus the waterfall gets its name as Bear Shola Fall. Best time to visit: May – October, when the falls are filled with water and have a green covering. Tip: Though the fall is accessible on foot, but one should be very careful as the path to waterfall can be quite slippery. Situated 5.6 KM away from Kodaikanal, this rare museum is run by the Sacred Heart College. This is definitely a museum that will interest the Anthropologists, for the museum has got a vast specimen of butterflies, moths, snakes and mammals. There is also a vast garden which houses 2500 plant species. 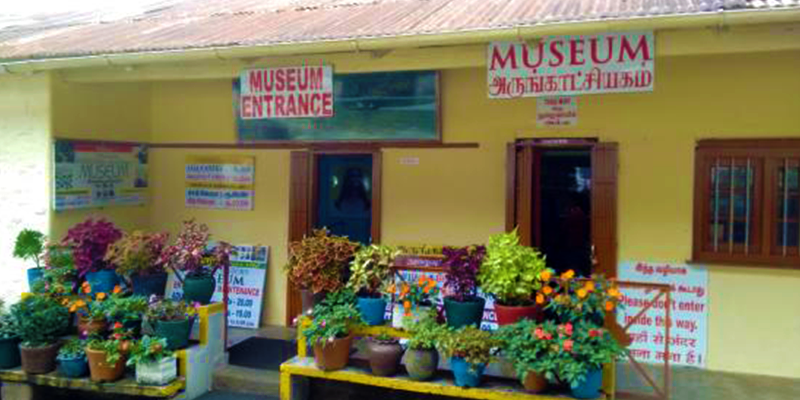 Many rare artefacts belonging to the Pakhitar tribe (natives of Palani hills) are also on display at this museum. Must see: The museum contains one of the best Orchidoriums in the country, which has 300 varieties of rare plants. The orchidorium is open from 10 AM – 12 noon and 3 PM – 5 pm daily (except on Sundays). Located on Observatory Road, 4 KM from Kodaikanal town, this observatory is run by the Indian Institute of Astrophysics. 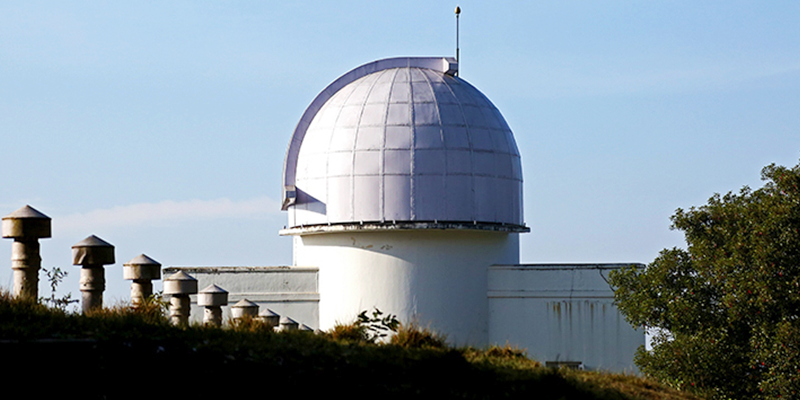 The observatory has elaborate set-ups to view and record the comets, stars and other space objects. The solar data present in the labs is oldest solar records present in India. Activities: Visit the astronomy museum, where pictorial shows supported by few models are organized. A live show of solar image and the Fraunhofer spectrum are also presented during the sessions. Must see: The terrestrial telescope offers a panoramic view of the Sothuparai Dam, Vaigai Dam, Periyakulam and the Varaha river. Tip: Public tours are organized during the months of April – June each day and on every Friday for rest of the year, where the visitors are taken to the astronomy library and scheduled night time telescopic sky viewing. When to visit: The best time to visit this hamlet full of trails is during late summer or early monsoons. The days are usually cool here with the temperature around 20°C but nights are chilly. Visitors must carry raincoats and umbrellas as unexpected showers can start any time. Eating: While you are in Vattakanal village do care to taste some of the freshly picked avocados and passion fruits. The primary cuisine in these parts is Chettinad style and there are plenty of eateries that serve a full platter. Next articleCool summer hacks for your train travel!